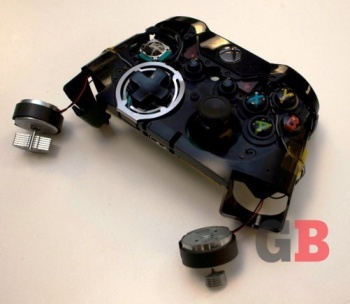 Microsoft, just like Sony, built dozens of Xbox One controller prototypes. Earlier in the year, we heard that some of the early PS4 controller prototypes were pretty crazy, with some being round and some not even sporting any buttons. Well, Venture Beat's look into Xbox One controller prototypes reveals some even crazier ideas, such as controllers with touch screens, projectors, displays, and even one that emitted smells. "We built small slugs of different types of smells that could actually come out of a controller," said Zulfi Alam, Xbox's general manager for accessories. "Like, as you walked through a jungle, you'd smell the flora." The key word here is built, meaning that in some Microsoft warehouse somewhere there is an Xbox One prototype controller that can fart at you. The Venture Beat feature reveals that the controller almost didn't change at all. "When we started this program, I went and said, 'Hey, we need to think about redesigning the Xbox 360 controller.' The reaction was vociferously negative. 'Are you guys crazy? This is the best-in-class controller. People love this,'" said Alam. But despite the Xbox 360 controller being "best-in-class" and the controller of choice for genres such as FPS, Microsoft, like any other company, still looked to its competitors for inspiration. Microsoft built test controllers that has some features that its competitors are using now, such as a touchpad (PS4), camera (Wii U), and speakers (both). But "each one of these ideas fell down," said Alam. "You've got a great TV with a better speaker than we could ever put in this controller, and it made more sense to [not make players look down at a display], keeping the user's attention on the TV. We really want them to be immersed in the experience that's happening in front of them." In the end, what we got was simply a more-refined version of the 360 controller, with Alam and his team simply taking the best features and improving them, adding new features only when they seemed intuitive.